Download Epson TX650, TX659 (EEE, CISMEA) Service Adjustment Program V1.0.2 New! Reset Epson Artisan 1430 Service Adjustment Program Coming soon! Download Epson Photo 1500 Service Adjustment Program Coming soon! 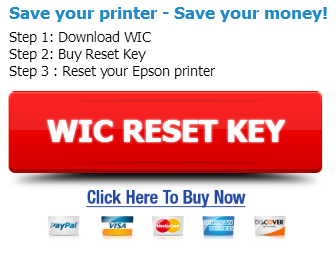 Reset Epson WorkForce WF-7015, WF-7515, WF-7525 (EURO or CIS) Ver.1.0.1 Service Adjustment Program New! Download Epson XP-30, XP-102, XP-202, XP-205, XP-302, XP-305, XP-402, XP-405 (EURO) Ver.1.0.3 Service Adjustment Program New! Get Epson PX830FWD (EURO, CISMEA) Ver.1.0.3 Service Adjustment Program New! Download Epson L110, L210, L300, L355 (EURO, CIS) Ver.1.0.0 Service Adjustment Program New! Download Epson TX125 (ESP) Ver.1.0.1 Service Adjustment Program New! Get Epson TX560WD (EAI) Ver.1.0.0 Service Adjustment Program New!